For the 6th year in a row, the Lakewood High’s music department will put on a large show to celebrate this wonderful time of year. The show is called Sounds of the Season. The highest bands, orchestras and choirs perform together (as well as separately) with seamless transitions during the show. The groups that perform are the Chamber Orchestra, Symphony Orchestra, Wind Ensemble, Symphonic Mixed Choir, and the Lakewood Honors Elementary School Choir. The show will be performed on Thursday, December 13th and on Friday, December 14th; the concert begins at 7:30 for both nights and takes place in the Civic Auditorium. Tickets are available in the Lakewood High book room, and also at the Civic doors (before the concert). The tickets are $3 for adults, $2 for seniors, and $1 for students. There is also an opportunity to buy raffle tickets. If your name is drawn during intermission for the raffle, you will have the honor of being the guest who plays the whip for the song “Sleigh Ride”. You will get to play with both the Symphony Orchestra and the Wind Ensemble for the song. This concert is a fantastic way for any person to get into the Christmas mood. 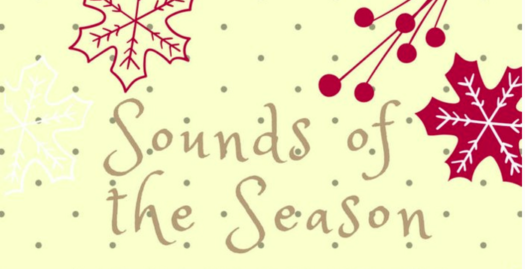 With many holiday songs from many genres, you will definitely hear a song that you love. As Lakewood High School Symphony Orchestra member, Jordan Esposito, says, “Even though playing in Sounds of the Season is stressful, it is worth it when you hear the amazing sound that the orchestra and band make together.” Make sure that you put the 13th and the 14th in your calendar, because this is a concert that you do not want to miss!